Last week, thousands joined almost 500 servicemen and women from around the world to celebrate the conclusion of the Invictus Games Orlando 2016, presented by Jaguar Land Rover, during an electrifying Closing Ceremony. Celebrities, dignitaries, and musical guests joined the competitors and their family and friends at Champion Stadium. For many competitors, the Closing Ceremony was the culmination of years of training and intense dedication to their recovery. The ceremony was also the final opportunity to cheer on the men and women who have exemplified the true meaning of Invictus. To start, each team paraded across the stage for the Medallion Ceremony. 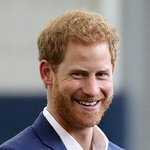 The medallions, which were given to each competitor by the Invictus Games Foundation, were distributed by Prince Harry; Ken Fisher, Chairman of Invictus Games Orlando 2016; Dr. Jill Biden and Chairman of the Invictus Games Foundation, Sir Keith Mills. Competitors smiled from ear to ear, beaming with excitement as they took a lasting photograph with both Prince Harry and Dr. Jill Biden. To celebrate four days of competition, world renowned musical artists took the stage to tell their Invictus stories through music. Jordan Smith, Season 9 winner of hit show, The Voice, performed Adele’s, “Set Fire to the Rain,” and accompanied by a gospel choir, sang “Somebody to Love.” Following Smith’s performance, the first nationally recognized wounded warrior band, Vetted, performed “No Man Left Behind.” American Idol Season 11 winner, Phillip Philips performed, “Gone, Gone, Gone,” among other songs. In a touching tribute, actor Wilmer Valderrama presented the Jaguar Award for “Exceptional performance” to Sarah Rudder from the U.S. team for displaying true determination and grit from start to finish. WWE superstar John Cena then joined the stage to present the Land Rover “Above and Beyond” award to the Sitting Volleyball team from Georgia, who won a Bronze medal in the competition. The team was honored for their inspiring example of the Invictus spirit, as not only competitors but also as teammates. Following, international popstar Rachel Platten gave an inspiring performance. Second Lady of the United States Dr. Jill Biden graced Champion Stadium to discuss her efforts to raise awareness about the sacrifices made by military families and to encourage 2016 competitors to never lose their Invictus spirit. “All of you have the world behind you, and you are not alone,” said Dr. Biden. Following Dr. Biden’s moving remarks, U.S. Team Captain, Will Reynolds, received a standing ovation as he took the stage to reflect on his Invictus Games journey, encouraging millions to uncover their Invictus story. On Sunday, May 8, 2016 during the Opening Ceremony, the U.S. Air Force Color Guard raised the Invictus Games Flag next to the flag of the United States. During the 2016 Invictus Games, the Invictus Games Flag served as a reminder that the servicemen and women competing in the Invictus Games Orlando 2016 are and remain unconquered. As the U.S. Air Force Color Guard lowered the flag during the Closing Ceremony, U.S. Captain Will Reynolds, Invictus Games Orlando 2016 Chairman, Ken Fisher and CEO, Vicky Gosling passed the flag to Canadian Team Captain, Bruno Guevremont and CEO of Invictus Games Toronto 2017, Michael Burns. Understanding the competitors would soon meet again in 2017, the crowd roared with applause as almost 500 men and women closed this chapter of their Invictus journey to prepare for a new chapter in Toronto. Following the passing of the Invictus Games Flag, Prince Harry took the stage to resounding applause. To bring the Ceremony to a close, artists Rascal Flatts and Flo Rida took the stage and gave stellar performances, which included Rascal Flatt’s hit single, “Life Is a Highway,” and international hip-hop sensation Flo Rida’s “My House.” The finale of the show included the explosive colors of a spectacular fireworks show while a video set to Rachel Platten’s, “Fight Song” played. “Fight Song” has become an anthem for this year’s competitors and their families. Fans can see highlights from the Invictus Games Orlando 2016 here. The Invictus Games Orlando 2016 Opening and Closing Ceremonies were produced by continuumLIVE and Donaldson Creative with Christopher Laue and Sara Donaldson jointly performing the roles of Executive Producer and Creative Director.